An association of 34,164 autonomous clubs in 166 countries, Rotary International is one of the world’s largest service organizations. The goal for a club’s membership is an up-to-date and progressive representation of the community’s business, vocational, and professional interests. 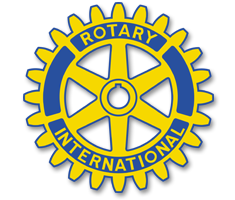 Often a person being considered for membership is invited by a member/sponsor to attend one or more club meetings to learn more about Rotary. The sponsor may then submit the name of the candidate to the club’s membership committee. An individual who is interested in membership but doesn’t know any Rotarians can contact the local club directly. Rotary uses a classification system to establish and maintain a vibrant cross-section or representation of the community’s business, vocational, and professional interests among members and to develop a pool of resources and expertise to successfully implement service projects. This system is based on the founders’ paradigm of choosing cross-representation of each business, profession, and institution within a community. A classification describes either the principal business or the professional service of the organization that the Rotarian works for or the Rotarian’s own activity within the organization. Some examples of classifications include: high schools, universities, eye surgery, banking, pharmaceutical retailing, petroleum-distribution, and insurance agency.